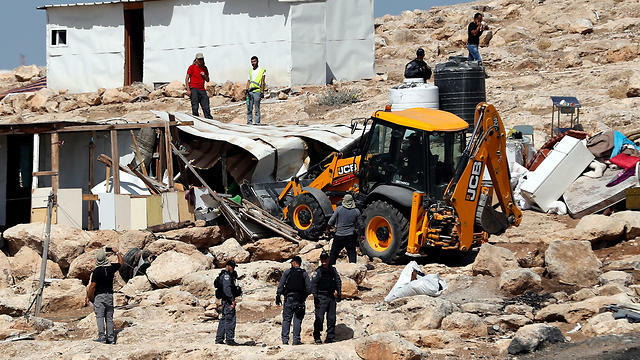 State rejects Khan al-Ahmar residents’ claim their attempts to secure retroactive building permits had been ignored by zoning authorities, with court summoning both sides for a session by August 15, effectively putting the demolition on hold until then. The Supreme Court on Thursday deferred by at least a month the government-planned demolition of a Bedouin village in the West Bank that had stirred Palestinian outrage and international concerns. The court last week issued an 11th hour injunction against the demolition at the request of the villagers of Khan al-Ahmar, who said their attempts to secure retroactive building permits had been ignored by Israeli zoning authorities.Responding this week, the state rejected that argument as false and as an attempt to buy time. In Thursday’s decision, the Supreme Court summoned both sides for a session by August 15, effectively putting the demolitions on hold. Around 180 Bedouin, raising sheep and goats, live in tin and wood shacks in Khan al-Ahmar. It is situated outside Jerusalem between two Israeli settlements. Israel said it plans to relocate the residents to an area about 12 km (seven miles) away, near the Palestinian village of Abu Dis.